With two little figs running around our house (ages 1 and 3 years-old), we love recipes that involve a bit of a 'project'. 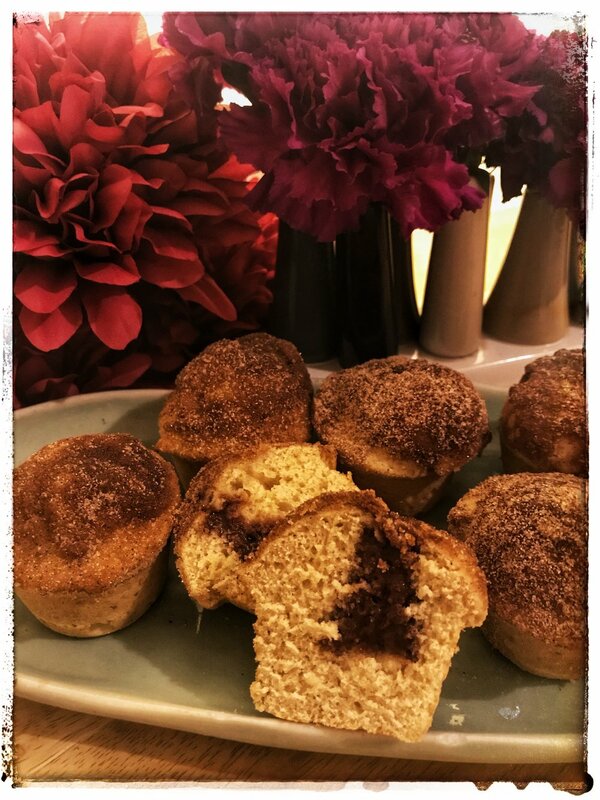 Filling these muffins with pear chocolate jam is just the ticket for a little bit of extra fun (and mess! I can't lie!). Plus, the left over pear chocolate jam is a great 'special treat' (as our girls say) on rice cakes for snack times later on in the week. With a bit of freshly sliced pear layered over top, you can also enjoy 1 of your 5 a day! In a wide mouthed pan over low to medium heat, cook pears, lemon juice, & water for about 5 minutes until the pears begin to soften. Add the caster sugar and cinnamon and stir to dissolve. Leave to cook down for about 20 minutes, until the liquid is a bit gooey. Cool for about 10 minutes. Using a stick blender or food processor, blitz to consistency desired (note from Chef Jaime: we like to leave a bit of texture in our jam, so it’s not completely smooth). Stir the chocolate into the warm mix until melted. Set aside. 1) Preheat oven to 170°C. Butter and flour mini muffin tin and set aside. 2) Place flour, backing powder, salt, caster sugar, and brown sugar into the bowl of an electric mixer and whisk to combine. 3) Add eggs and milk, whisk again. With the whisk running on low, slowly tip melted butter into the batter. Whisk until fully combined. 4) Fill muffin tins ¾ full and bake for 12-15minutes until the edges begin to brown. 5) Allow to cool for about 10 minutes. 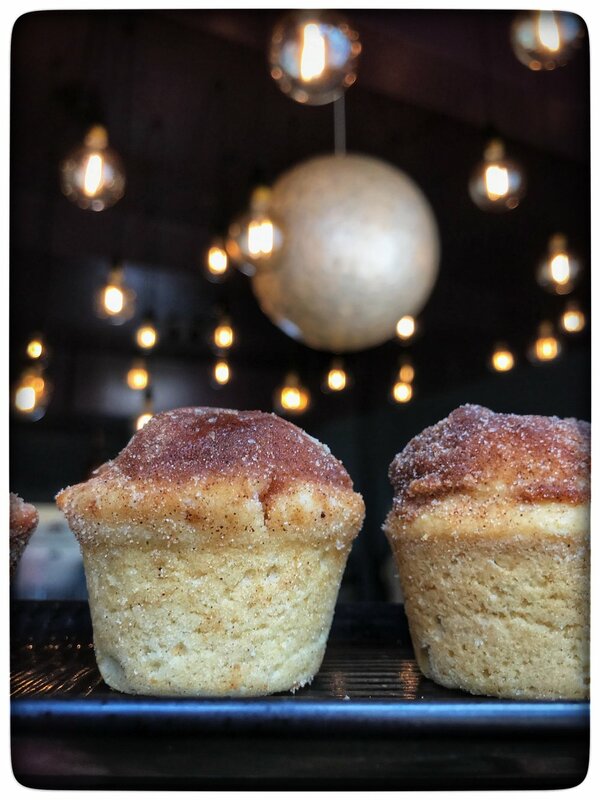 Push the back of a spoon into the top of the muffin to create a small hole and wiggle around to create space in the center of the muffin. Using a piping bag with a small tip, pipe the pear chocolate jam into the middle until the muffin feels heavier and you cannot fit any more jam inside without the muffin exploding. Immediately dip top into melted butter and then directly into the cinnamon sugar mixture.